Which? Magazine recently revealed the results of its latest consumer survey on airline short-haul flights. 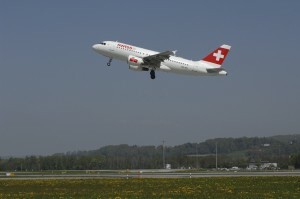 We’re delighted that Swiss International Airlines, an airline we regularly book for our clients, is once again at the top of the tables in the 2012 survey. The whole team at Ski Independence would like to wish everyone a Merry Christmas and a Happy New Year! As Dean Martin and Michael Buble have sung before this is certainly being sung by ski resorts all over Europe and in Canada at the moment. With not wanting to sound like Michael Fish or that nice lady Carol who reads the weather on BBC, there is a long prolonged low front sitting right over central Europe, bringing cold and snowy conditions that’s dumping serious amounts of the white stuff as low as 800 metres above sea level. Over the next few days leading up to the weekend resorts in the Swiss and French Alps are expecting up to a metre of fresh snow and resorts such as Les Gets and Chamonix have already been suggesting opening the lift ticket windows and cranking up those lifts.